Note: I’m not sure what it is, but I think my metabolism is getting the best of me. I try my best to only snack on fruits or low point foods. Day 14 (Insanity Day off): Unfortunately, I was unable to move yesterday’s workout to today. My guests did not leave until late in the evening and I had errands I needed to run. I’m not sure what I should do next, so I will consult a beachbody coach. Day 15 (Fit Test): I consulted both a beachbody coach and the Insanity Facebook page about missing a workout. I was told to stay on schedule. I definitely improved. I’m happy that I am pushing myself! It’s so easy to lose motivation and give in to temptation. Day 16 (Plyo Cardio): Great workout. At first, I was not going to do it because of how tired I am. However, I realized I started this journey and I need to finish it. It turned out to be really good. I’m starting to take fewer breaks! Day 17 (Pure Cardio & Cardio Abs): I’ve noticed I’ve been able to get through the warm up without stopping or decreasing my pace. I pushed harder during Pure Cardio. This was my first time doing Cardio Abs and it was difficult. It’s another reminder of my lack of upper body strength, but I must say that I did enjoy the workout. Day 18 (Cardio Recovery): I most certainly got a good stretch doing this exercise. I wasn’t struggling as much; I’m happy about that! Day 19 (Cardio Power & Resistance): This was an excellent workout. 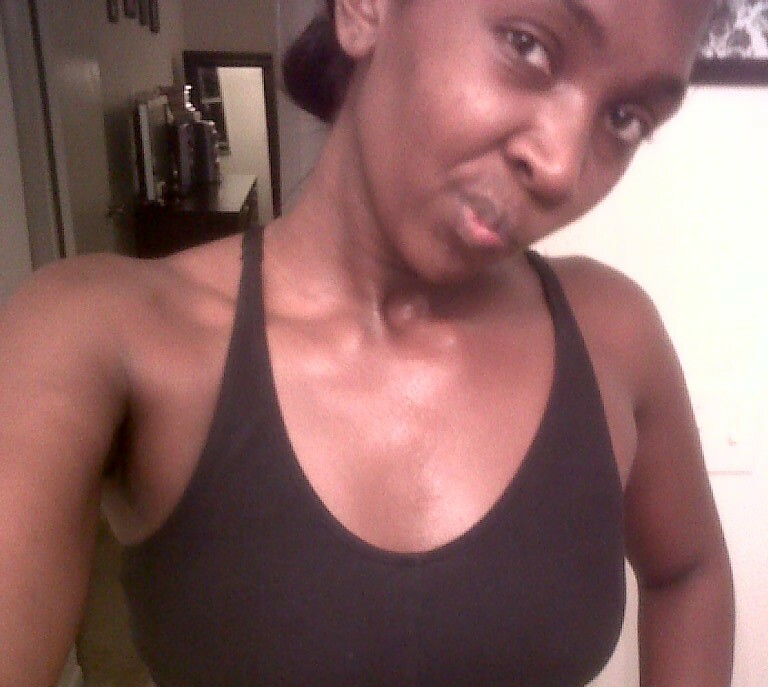 I was working my core and I had the sweat to prove it! I am improving with every workout and I am truly enjoying the results! Day 20 (Plyo Cardio): I can see the improvements! Your girl is definitely getting into those level one drills! I’m doing good push ups and all! Pat on my back! Dinner: Grilled Chicken Breast, Cabbage, Red Beans & small cheese (reduced fat) quesadilla. Writing is my passion. Please support and subscribe! Posted on Mon.Jul.30.2012, in Beauty & Health and tagged 60-Day Challenge, apple crisp, beachbody, breakfast, cardio, diet, eating healthy, excercise, food, Health, improvements, Insanity, nutrition, points plus, push ups, pushing myself, pushups, results, Shaun T, strength, Weight Watchers, work out, workout, ww. Bookmark the permalink. Leave a comment.